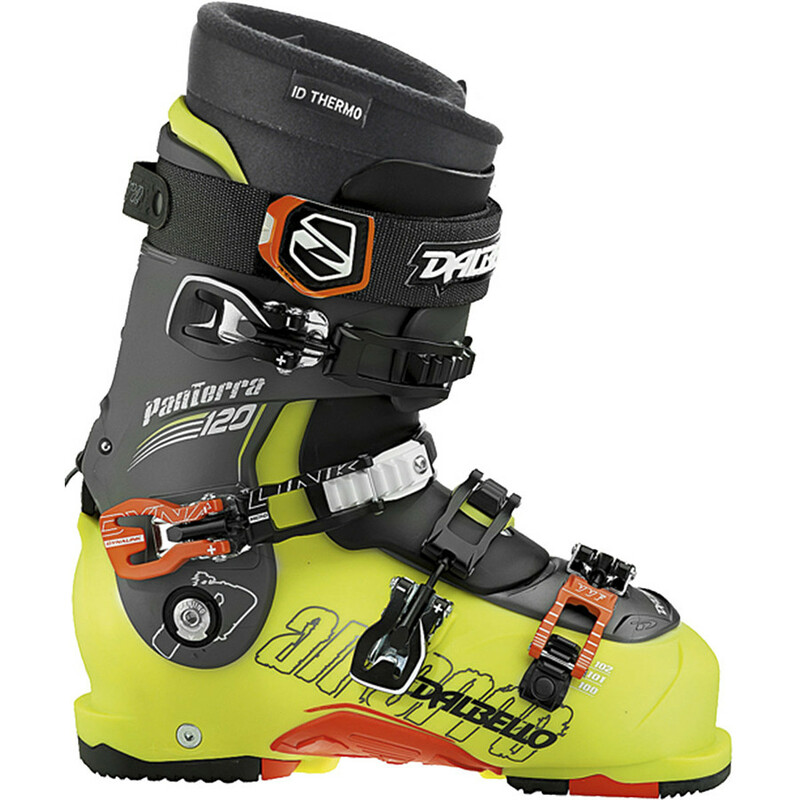 Blending a comfortable, mid-wide last with a moderate level of stiffness and a bevy of killer features, the Dalbello Panterra 100 Ski Boot is perfect for intermediate skiers looking to slice and dice the whole mountain from top to bottom. 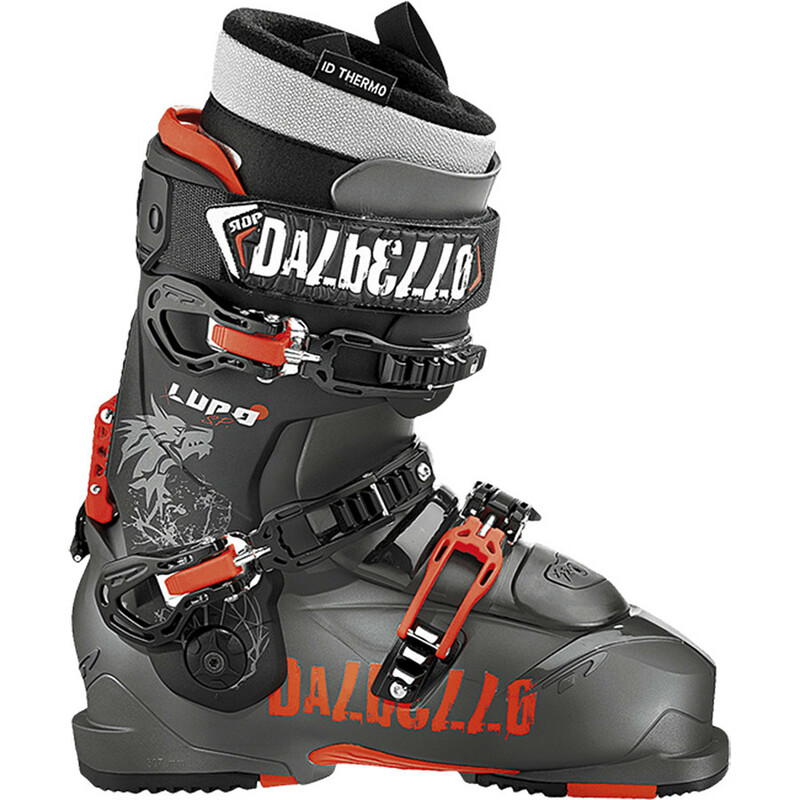 It's designed using Dalbello's signature three-piece Cabrio Design Architecture, which uses a stiff lower shell and upper cuff to provide loads of lateral stiffness, along with a progressively flexing external tongue that gives the boot a smooth and consistent flex without the pain of tradition two-piece boots. The tongue design also makes the Panterra easy to get on and off, so your mornings will stop being the most painful part of your day. In addition to the three-piece design, Dalbello's Contour 4 shell fit features pre-punched areas designed to comfortably accommodate navicular, metatarsal, and ankle bones, and a Trufit 2. 0 Performer liner that's specially formed to fit with the Panterra's shell shape. 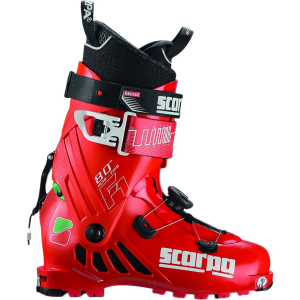 It's also heat moldable, if you'd like to fine tune the fit even more, and the shell comes with an adjustable heel inclinator, canting mechanism, and flex, so you can dial it in to your exact specs. 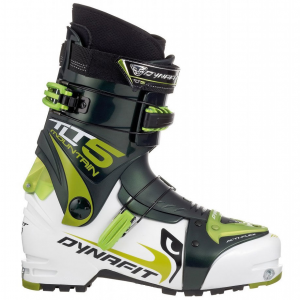 If all that still doesn't float your boat, check out the Dynalink rearfoot retention system, which uses a flexible cuff-to-cuff link to lock your heel securely into the heel pocket, and the Variable Volume Fit system, which lets you dial in the fit on the toe buckle and take the boot on and off without having to undo or readjust it. 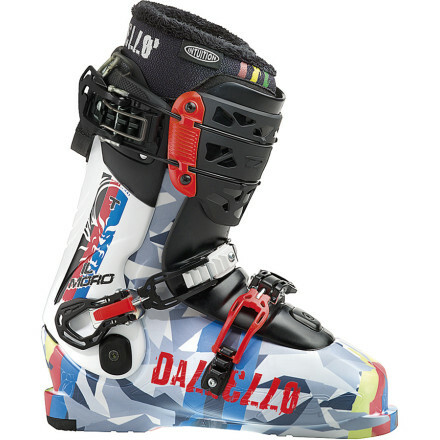 Dalbello also tossed in a ski/hike switch and replaceable rubber sole to let you cruise through parking lots and up in-bounds ridge hikes, so you can get to the good without slipping and sliding like a baby deer on a frozen pond. 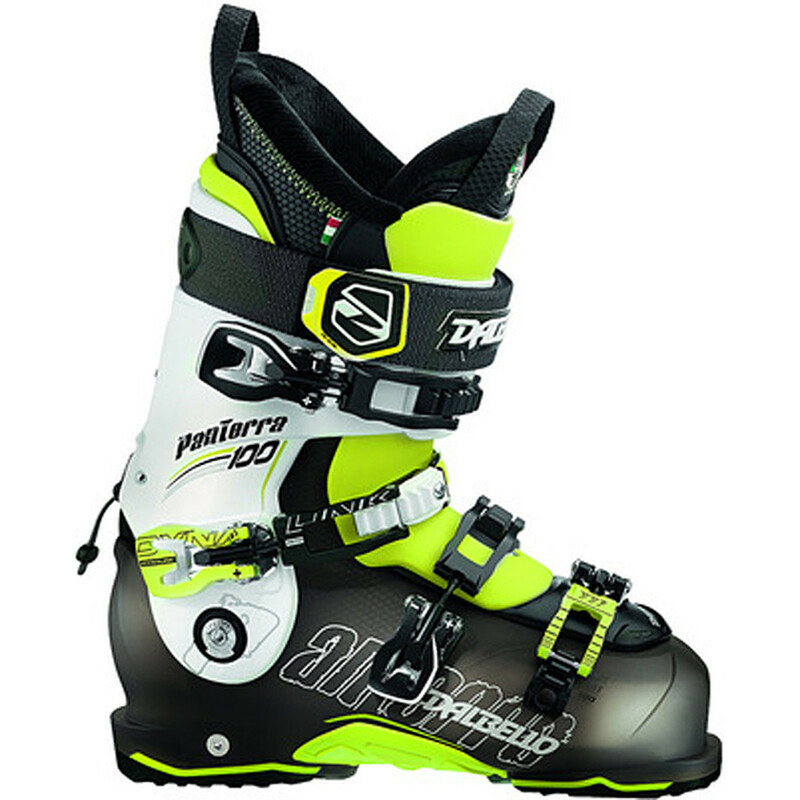 The Dalbello Panterra 100 Ski Boot is not available from the stores we monitor. 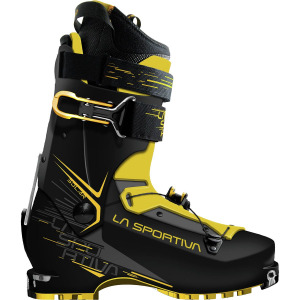 It was last seen March 19, 2015	at Backcountry.com.